Following the launch of Rexy (brand’s mascot dinosaur) and the appointment of creative director Stuart Vevers, Coach 1941is once again moving towards becoming an American fashion staple. This approach translated into muted palettes decorated with lace, distressed leather, and, of course, results of an ongoing Disney collaboration throughout the collection. This latest range had its tried-and-true Western elements as well as Victorian collars, baggy, streetwear-friendly hoodies and boot-style sneakers. There was patchwork denim and now-ubiquitous cargo pants. 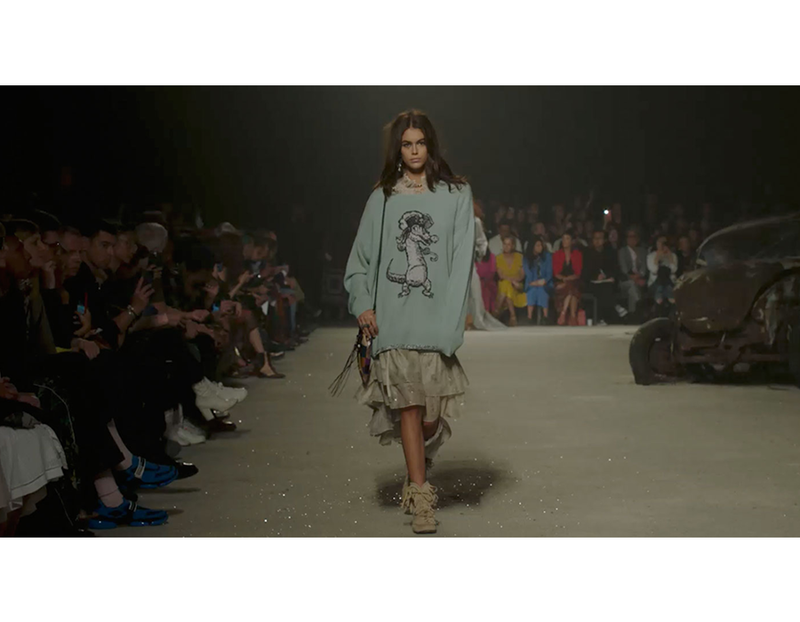 The Disney collab brought beloved characters like Bambi and the AristoCats to sweatshirts and tees. The jackets were, as always, a highlight. 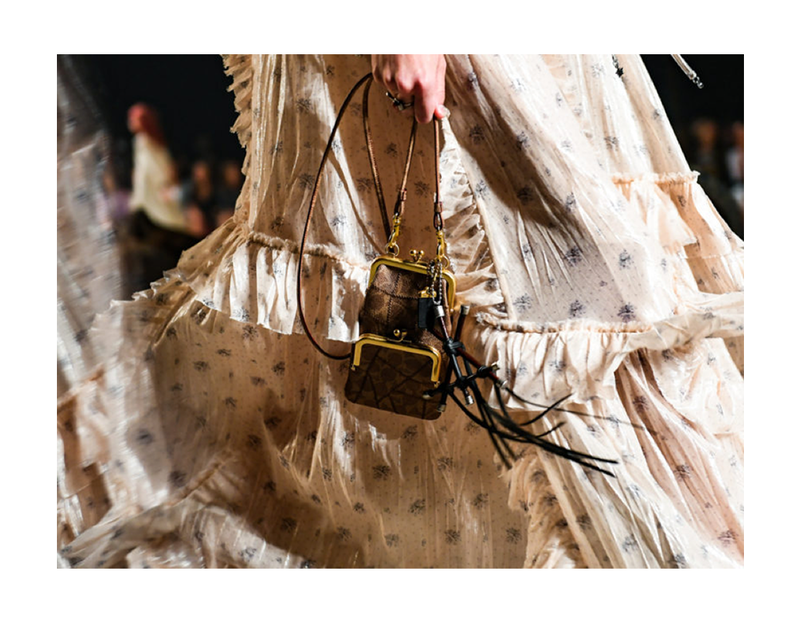 The backpacks and fanny packs—trimmed with fringe, covered in patches, and sometimes toggled with bungee cord—were a modern way to evolve Coach’s practical approach to luxury. 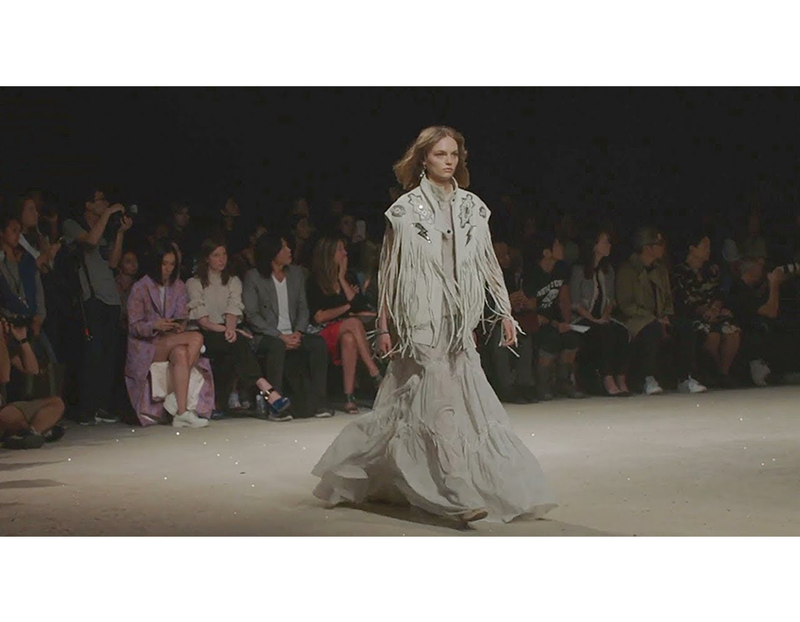 By the looks of things, the brand continues to remain at the forefront of covetable modernity. Visit the new Coach store to check its latest collection.